Get the must-have 14-day manicure! The revolutionary Solo Gel Polish combines a base coat, color and top coat all in one bottle! Applied like a polish, Solo is Five Free and a healthy alternative to Gels that damage the nail. 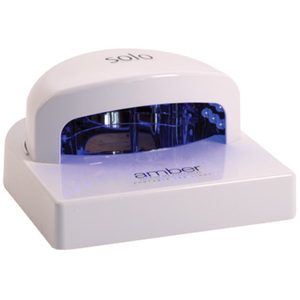 Solo cures in seconds with an LED (or UV nail light), drastically shortening the gel application process. Solo Gel Polish also soaks off quickly! With dozens of colors, you can change the way professional gel and gel polish manicures are performed with Solo! Cuccio Colour Veneer LED/UV Polish - Mini LED Light - AMAZING VALUE! Solo All-in-One Gel Polish - No Base Coat, No Top Coat UV Soak Off Gel Polish!